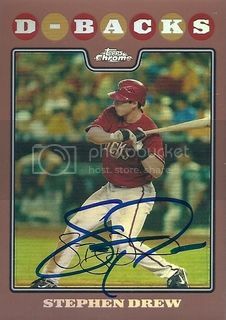 Wow, are there any 2008 Topps parallels that you didn't have Drew sign?!? Haha yah I got most of them. I guess there's a balck border parallel and a blue refractor plus the 1/1s.